Pompe, Pompe, Pompe in the spirit of Dionysus! I Am The Serpent Coiled Tightly In The Stomach Of A Glorious God, James St Findlay and Harvey Lancaster-Rous. 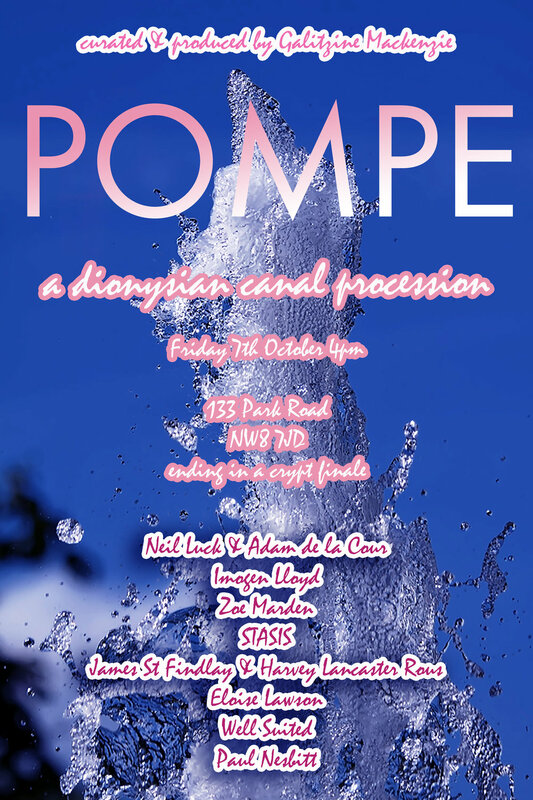 Pompe was a tragic-comic canal procession of art performances and music from Regents Park to a remarkable crypt underneath Saint Mary Magdalene Church, Little Venice. As a refreshing antidote to Frieze Art Fair, we celebrated the spirit of Art and using the fleeting nature of the performances attempted to mock the domineering commercialism in the art world. 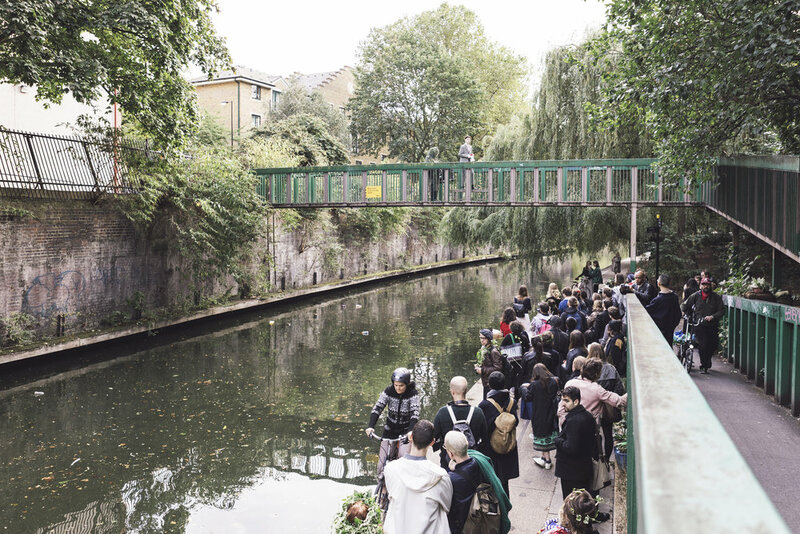 The site of Frieze was the departure point for the canal boat ‘Dazzler’ captained by local boater Robert Salomon. 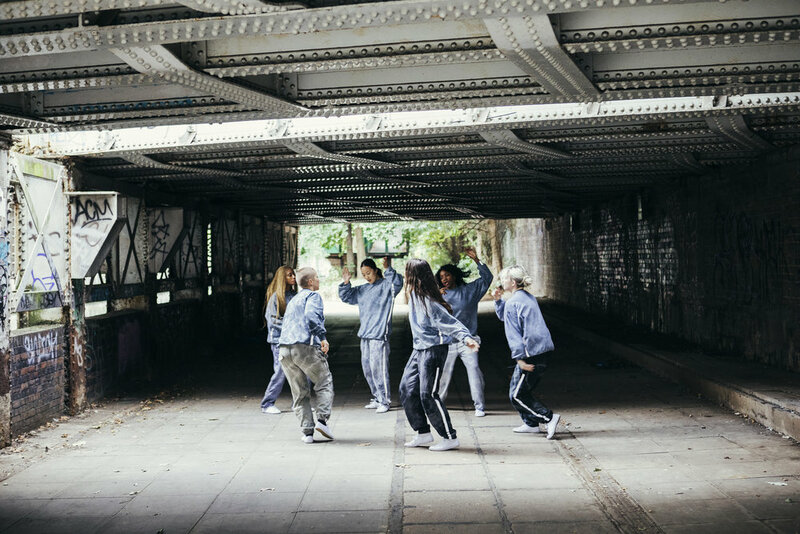 Pompe encountered performances by young artists, musicians and dancers on bridges and tow paths and involved members of the local community. For Pompe Dionysus was present in his role as the great liberator from the self-conscious; his wine, music and dance frees his followers and subverts the oppressive restraints of the powerful. He is the protector of those who do not belong to conventional society and symbolises the chaotic, dangerous and unexpected, acting as a powerful rebel figure. 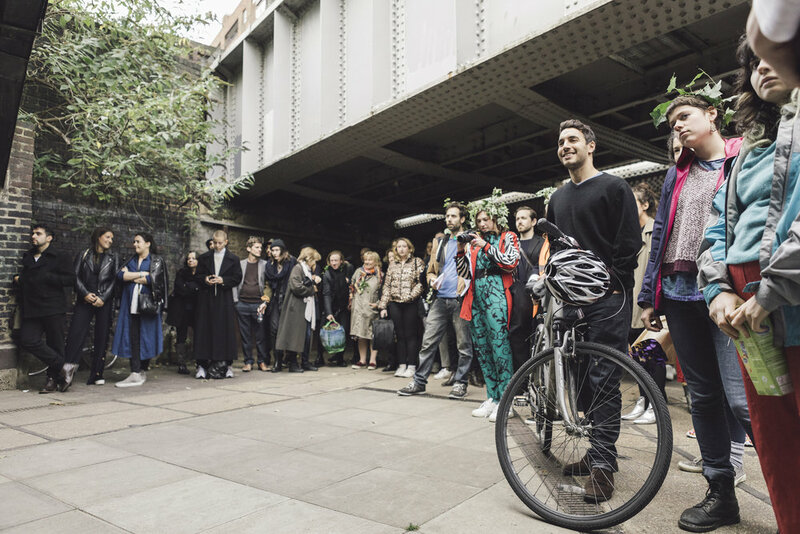 Pompe celebrated contemporary art's capacity to be inclusive and aimed to inspire a wider community who encountered it in the public space, everyone was encouraged to join Pompe! Zoe Marden, Imogen Lloyd, Allegra Fitzherbert, Neil Luck and Adam de la Cour, Well Suited, Eloise Lawson, STASIS, Alistair Sutherland, James St Findlay and Harvey Lancaster-Rous. With huge thank you to Robert Salomon and Emma Freemantle for all their help and support. Thank you to Fred Marriage and Jasper Fry for their excellent photography. 1 The Raving Ones, Zoe Marden. Find the inner rave. Desire to dissolve. Don’t ever stop. 2 Bridging The Gap, Well Suited. A satirical embodiment of a public lecture mixed with an archaic preach highlighting the gap between high profile art and the lived realities of artists striving for success. 3 Charade, Neil Luck and Adam de la Cour. Restaging 3 parts of the horror film set in Venice “Don’t Look Now”, by Nicholas Roeg. Using text, tap dancing, table-top object manipulation and other things. 4 Spin The Groom, Imogen Lloyd (ongoing). A wedding cake infused with playground rituals escorted by Cupid on a hen do. 5 The Second Blast Of The Trumpet Against The Monstrous Regiment Of Women, STASIS. 6 What are you willing to tell me? What do I want to find out? Eloise Lawson. Confessions! Secrets! Desires! Let us free them from the boats! Pimpinella: Florentine Song by P. I. Tchaikovsky. 8 I Am The Serpent Coiled Tightly In The Stomach Of A Glorious God, James St Findlay and Harvey Lancaster-Rous. Snakes everywhere! Hissing in the grass at the foot of Mount Nymphus. 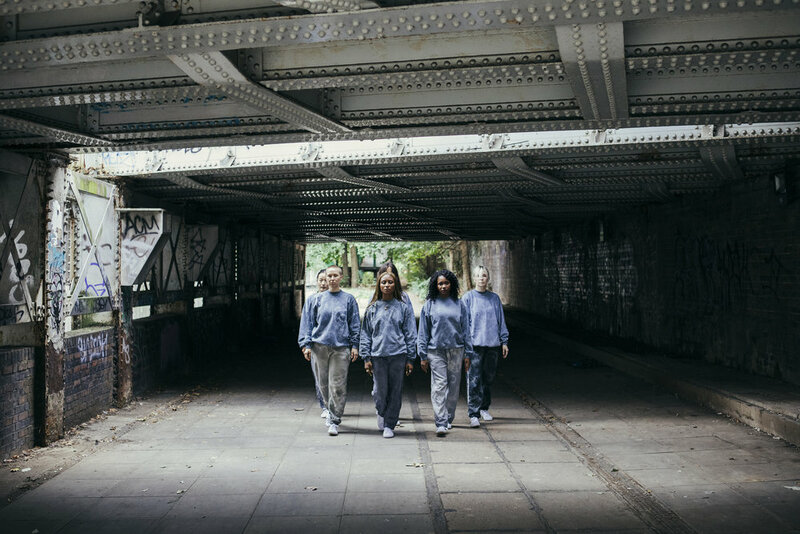 Pompe is made possible thanks to the support of St Mary Magdalene Church which will host a site-specific group show curated by Galitzine Mackenzie in December 2016 in its spectacular crypt. Please donate generously here to help make this project a reality.